Henry Holt and Co., 9781627791830, 240pp. Mallory Ortberg is Slate's "Dear Prudence." She has written for The New Yorker, New York magazine, O, The Oprah Magazine, and The Atlantic. She is the cocreator of The Toast, a general-interest website geared toward women. Mallory is the author of Texts from Jane Eyre and The Merry Spinster. 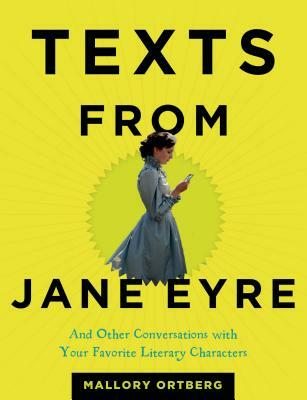 “Anyone who is really into the classics and also has a sense of humor will appreciate [Texts from Jane Eyre]. It will make a great holiday present.” —BookRiot's "In the Mailbag"